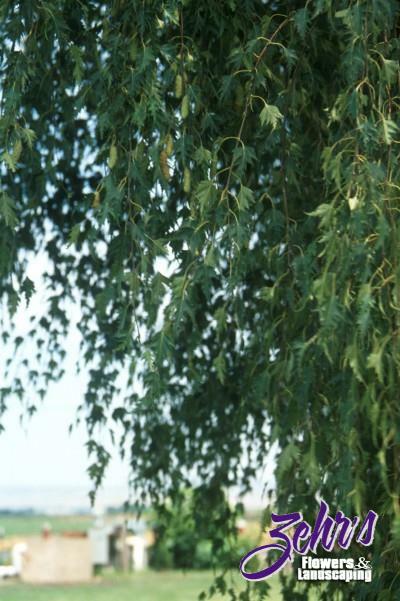 Formerly called Betula pendula laciniata, this graceful tree has pendulous branches and attractive cutleaf foliage. The bark is brown in youth, maturing to grayish white, with increasing black fissures with age. This tree is highly recommended for lawns and parks.